We are a full service beauty salon located on Dundas Street in London, Ontario. Our salon is the finest place to get pampered in a luxurious environment. We offer professional quality at a budget-friendly price! Our beauticians are dedicated to provide you with highest level of customer satisfaction. 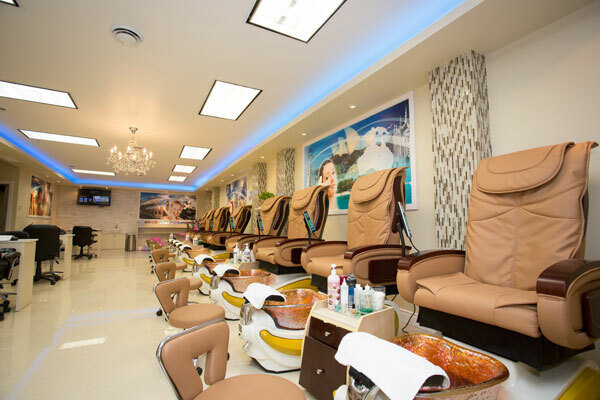 Our store is the perfect stop before your next big event, being equipped with: 8 pedicure chairs, 2 children pedicure chairs, 9 nail tables and 3 waxing rooms. Make a reservation and come in with a group of 4+ to get 10% off! Also, spoil yourself on your birthday week with 30% off (I.D. required), Check out our wide selection of services and experience a world of beauty!